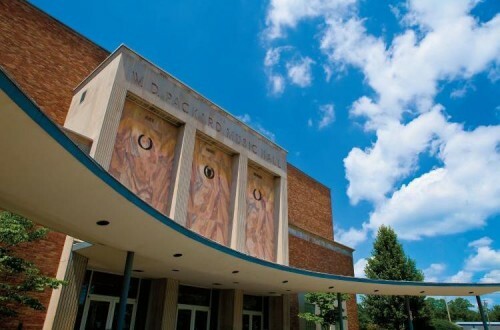 Most people agree that the quality of the shows offered at Packard Music Hall have improved since the venue was turned over to JAC Management in August 2014. In addition, Doug and Enzo have been telling anyone who will listen what a “tremendous savings” the new arrangement is for the city and the taxpayers. But if you dig a little below the surface you’ll see that not only are there no savings, but that Warren taxpayers are actually paying far more for these improved offerings. It’s no secret the city has been subsidizing PMH for years. The past few years the net subsidy has been approximately $250,000. Doug and Enzo would have you believe it’s more, but that’s before the Hall recouped cost from rentals, bar sales, concessions, and grants awarded due to the Hall’s previous non-profit status. Even under its old business structure the Hall brought in as much as $30,000 per month in revenue to offset the subsidy. The net subsidy of $250,000 was used primarily to pay the salaries and benefits of four city employees. The reason given for turning the management of PMH over to a for-profit company (initially an idea explored in 2009) was because a for profit company could take the financial risk associated with booking better known (and more expensive) acts — a risk the city could not take. However Doug and Enzo took on several other very large, risks by making the change. By signing this deal they not only ignored the “Request For Qualifications” (RFQ) action plan designed in 2009 by the Packard Park Board of Trustees, and Doug’s predecessor Michael O’Brien, but they also ignored a March 2010 letter from the Ohio Cultural Facilities Commission to the city and PMH management, which warned the city that turning PMH over to a for-profit management company could obligate the city to return more than $300,000 in State funds previously given to the Hall for capital improvements. The administration chose to ignore the RFQ and the letter, and may still face a demand by the State of Ohio to return the funds. Doug and Enzo ignored the letter and the recommendations, and awarded a contract to JAC Management of Youngstown, (who also manages The Covelli Center) giving it “sole, entire, exclusive charge of the Facility” (PMH). Normally one would expect some competition in order to earn the “sole, entire, exclusive” right to run a city-owned property, but that was not the course Doug and Enzo chose. No competitive bids were even solicited. Specifically, Sunrise Entertainment, which is based in Warren and has been successfully promoting concerts in Warren at both the Amphitheater and PMH, was not given an opportunity to bid. Nor was anyone else. Doug and Enzo claim that a competitive bid was not required because the contract was for a “professional service.” This is a disputed interpretation of Ohio law, but it is also beside the point; competition leads to finding the best offer rather than the only offer. This is public money after all and the taxpayers deserve no less. Not only was the contract not competitively bid, only a very small number of people saw it until after it was signed; among those who did not see it before it was signed, were members of Warren City Council and members of the Packard Park Board of Trustees, which by law is the controlling entity of the Park and all its buildings. There was a really good reason to keep the terms of the agreement secret: it is a lousy deal for the city. For the right to have “sole, entire, exclusive charge of the Facility,” JAC is to be paid, per year, $300,000, $250,000 and $200,000 in the first three years. JAC, at its sole discretion, can add two more years to the deal and the city has to pay them $150,000 and $100,000 in those final two years. So the taxpayers of the city of Warren are paying a private, for-profit company a subsidy of $1 million to expand their business into Warren, rent-free, at Packard Music Hall. Some people may argue that at least JAC is bringing in better shows and more people, and that’s good for Warren. That might be a valid argument if we participated in the upside of the deal, but the total amount the city earns on every ticket sold under this contract is twenty-five cents ($0.25). Even if JAC is selling $80 tickets to a big act, Warren still earns only a quarter per ticket. Maybe you’re attending the Huey Lewis concert at PMH tonight. There is an additional $3 per ticket “facility” charge for this show. We still only get a quarter. If JAC puts on a sold out show every month for a year the city will get a total of about $7500, but since the contract also makes the city responsible for all repairs in excess of $3000, one serious repair could easily wipe out a full year’s earnings. The lopsidedness does not stop there. The city is lending its liquor license to JAC at no cost for the term of the agreement but Warren get’s no share of JAC’s concession sales; they keep every penny of every $5 beer they sell. Even under its previous city management the bar sales alone averaged about $2500 a month, of which the city now receives nothing. The final insult in this one-sided, very expensive, agreement is that Doug and Enzo position it as a fiscally responsible act. They argue that instead of subsidizing PMH for $250,000 (net) per year indefinitely the payments to JAC end after five years. But in the meantime Warren taxpayers will pay $1 million to a private company. And what is to stop the current administration from renewing the agreement and continuing the subsidies if they are reelected? Nothing. The argument that this deal is “fiscally responsible” finally loses all credibility when you consider that the city transferred all four PMH employees onto the city payroll, even creating a couple of new positions to accommodate them. The four city employees cost taxpayers far more than $250,000 per year; the two highest paid of them earn more than $200,000 alone when benefits are included. In this period of shrinking tax receipts it is especially important that we manage the city’s financial resources as carefully as possible. JAC has brought in and upgraded the Hall’s entertainment for sure, but this is a terrible business deal for the city and a serious misuse of the taxpayer’s money. The money that Doug and Enzo left on the table by conceding to such a terrible deal, with no over sight or input from City Council or the Packard Park Board of Trustees, could have been used to pay for additional police officers, firemen, road salt, plowing, paving or any number of other city services that are in seriously short supply. Posted Tuesday, July 14th, 2015 under Budget, Economic development.